I have to say I am loving all this talk about historical romance over the past couple of weeks. Last week I tossed around my own musings on the provocative yet substantive discussion launched by the influential All About Romance and Dear Author blogs. This week finds historical romance “troubles” cropping up again at Risky Regencies, which I think is great. Sick of the Regency? Well maybe, but…. As many have pointed out, readers have had a decades-long love affair with Regency-set historical romance for good reason, and if there is a real or perceived Regency Fatigue among readers, the candid discussion we’ve all been having stems mainly from deeply rooted affection for this Heyer- and Austen-inspired world. In re-examining my own sentiments this week, I realized I’m probably slightly ambivalent. I’ve confessed to suffering a mild disenchantment with Regencies that feel too wall-paperish or insubstantial. 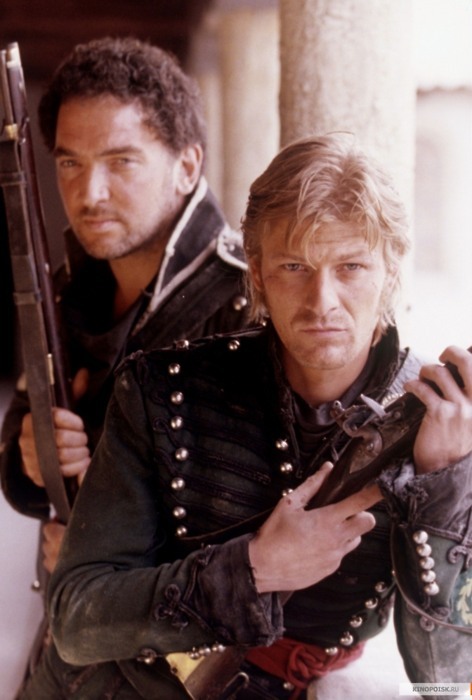 I do actively hunt out historicals with settings based on American history, and the erstwhile art historian in me still wishes there were more badass romances set in southern Europe during the Renaissance (and not yet another Tudor- or Borgia-inspired historical novel with romantic elements). But I’ve read hundreds, probably thousands, of Regencies, and there are so many on my DIK shelf that it’s overflowing. Also, there really are badass Regency heroes /heroines who aren’t dukes, earls, or even the slightest bit aristocratic — through they’re frequently noble, in the best sense of the word. There’s an element of truth in the suggestion that some Regencies offer a fairytale version of England which is devoid of politics, or gritty social and economic realities. But it’s equally true that some Regencies offer well-researched military and/or social history, plots that center on wartime or post-war conflict, and even themes of class conflict, industrialization, domestic violence, and addiction — though I don’t claim to know how Regencies that touch on these darker themes stack up to their frothier siblings in terms of sales figures. 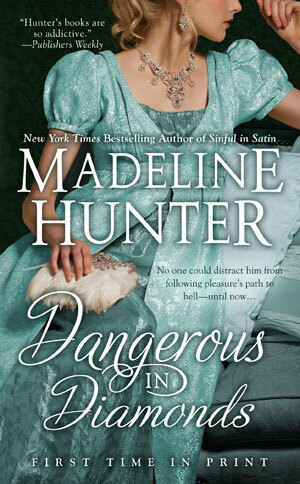 I thought it would be fun to take a few manic Monday minutes to list a few of my all-time favorite Badass Regencies. If there’s a thread running through this list, it’s my love for intricately connected books, especially a series structured around a plausible group of badass heroes. I am probably repeating something I’ve said elsewhere, but I am drawn to fiction that explores themes like loyalty, honor, kinship, friendship, bravery, and family. 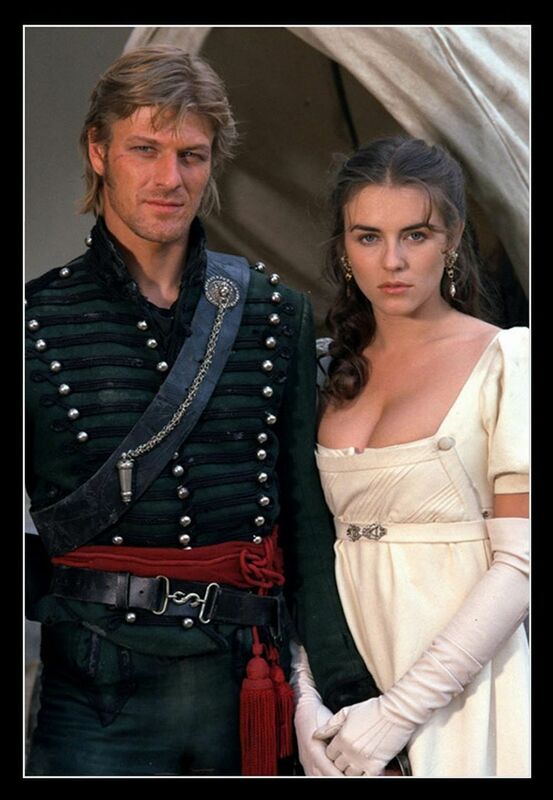 Romances against such a backdrop are especially powerful, and it’s a big part of my devotion to historicals. I’m also a sucker for the band of brothers trope, if it’s done well, with careful and well-researched world-building. Hell, even if it’s a barely plausible Saving England From the Forces of Evil Secret Spy Ring, if it has compelling characters, a strong story and finely honed dialogue, I’m willing to suspend disbelief. What are your favorite Really Good Regencies?? Today’s list is heavily weighted towards uber alphas, with a lot of war heroes and spies. I haven’t even mentioned Loretta Chase once yet (!). 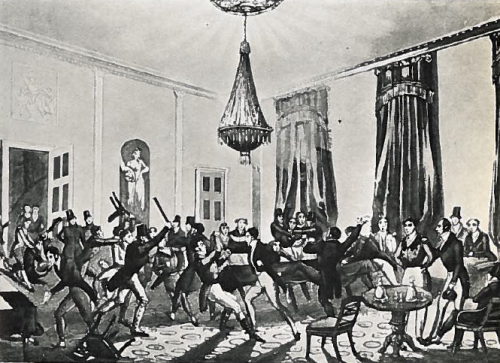 I’ll return at some point to come up with my list of top badass Regencies where the heroes fight their battles in ballrooms, drawing rooms, and gaming hells, and there are plenty I still haven’t yet read, so please help me out and let me know who you’d add! Joanna Bourne, the Spymaster series / Darkly exquisite; French and English spies from all rungs of the social ladder. Words fail me. If anything, these books just keep getting better and better. The heroines are as badass as the heroes. Adrian’s story (The Black Hawk) was one of the best books I read in 2012. 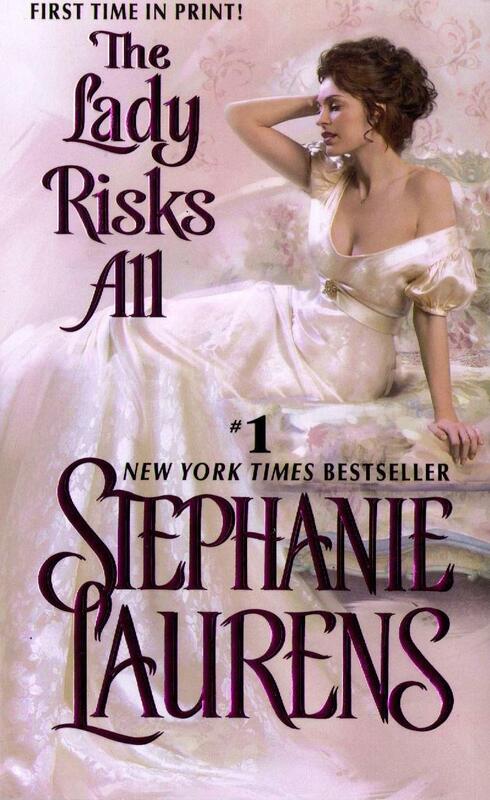 Stephanie Laurens, the early Cynster books / Lush and nostalgic; curiously addictive. This family operates like a clan of badass white knights, reminding me both of Scottish medievals and, oddly, of “fixers” like Olivia Pope and her band of gladiators in suits. Jo Beverley, the Company of Rogues series / Richly satisfying; wonderful secondary characters and friendships; some middle class protagonists. This series is wonderful and only suffers the tiniest bit from probably being constantly compared to the (Georgian-set) Malloren series. Laurel McKee, Daughters of Erin series / Fiery and pretty political; there are riots and revolutionaries. Broadly speaking, these qualify as Regency-era historicals, but set in Ireland during and following the 1798 rebellion. I loved the theme of SISTERhood in this series, and the history is woven in seamlessly. Gaelen Foley, Knight Miscellany/ A duke, twin heroes of the Peninsular Wars and their other siblings; these books explore sibling rivalry quite intensely, and the war-damaged brothers are heart-stoppingly enigmatic and tormented. Eileen Dreyer, Drake’s Rakes series / A genuine band of brothers series; they fought and barely survived Waterloo together. The journey home is fraught with perils like amnesia, mistaken identity, deception, treason, abandonment and a disgraced wife. The depiction of military life, especially the officer’s wives/daughters who traveled with the army made Never a Gentleman my favorite. 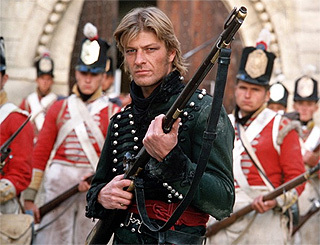 This series also reminded me so strongly of Bernard Cornwell’s legendary hero Richard Sharpe, that some of the glory of Sharpe’s Rifles may have rubbed off on Drake’s Rakes. 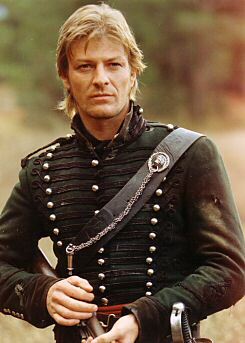 Sean Bean as Richard Sharpe, a particular favorite Regency badass who fought his way to being an officer but never a gentleman, before he got involved with Lords or Rings or playing the Game of Thrones. Name: Julian Delbraith and/or Roscoe Neville? A hero by either name, he’s titled and urbane enough to dazzle the ton AND he’s lethal enough — and enlightened enough — to run the only worker-friendly gambling empire in Regency London. Of course he is. How could it be otherwise? Hangs Out In: 1820’s London, dividing his time between Roscoe’s exquisitely appointed townhouse in Pimlico and Ridgeware, Lord Julian’s nephew’s ducal seat and residence of his gaggle of adoring female relatives (along with the teenage duke, Henry). Likes: Innately noble spinsters of 29 years whose deep passions are ready to burst the bonds of Rigid Respectability; games of chance; giving in to his protective urges; having crime bosses as well as Bastion Club aristocrats for friends; sisters; Cynsters. Dislikes: Waterloo deserters, kidnappers, having his female friends ignore his directives and follow him to dockside taverns. Badass Hero Moment: Unreservedly shares his long-kept secret home and family with Miranda and Roderick in their time of need, thereby revealing his aristocratic alter-ego (and simultaneously putting them — especially her — under his direct and explicit protection). Badass Annoying Moment: TOTAL Dog in the Manger behavior when HE decides Miranda is too respectable and good to associate with notorious and disreputable Roscoe. 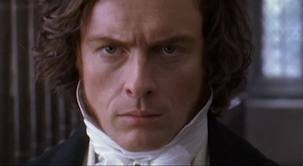 Might Look Like: Toby Stephens (above) as Rochester in the brilliant 2006 BBC Jane Eyre …? To Read Or Not To Read? I picked it up largely out of nostalgia. So many wonderful reads from SL — I read her whole backlist about 6 years ago and still find the prospect of the familiar, cozy, dense, character-driven Cynster-esque tales appealing. What can I say – I’m loyal! But this one falls far short of the greatness of the early Cynster novels, and even pales in comparison to the Bastion Club books in which Roscoe first appeared (which prior appearances are made much of). It could be me, but where I used to linger and enjoy the pages-long love scenes, I had to skim and skip the purply, generic and repetitive episodes where Roscoe and Miranda fly to heaven’s gate together. The best thing about this outing is the book’s title, which, for once in a romance novel, cleverly captures both a thematically appropriate gambling reference and foreshadows a central plot element. Miranda does indeed Risk All, and this book stands apart from most of SL’s oeuvre in that it is she who Decides and then Pursues the alpha hero, and not vice versa. “Crockford’s Club: How a Fishmonger Built a Gambling Club and Bankrupted the British Aristocracy.” A hilarious historical tale from the Smithsonian’s Past Imperfect blog. 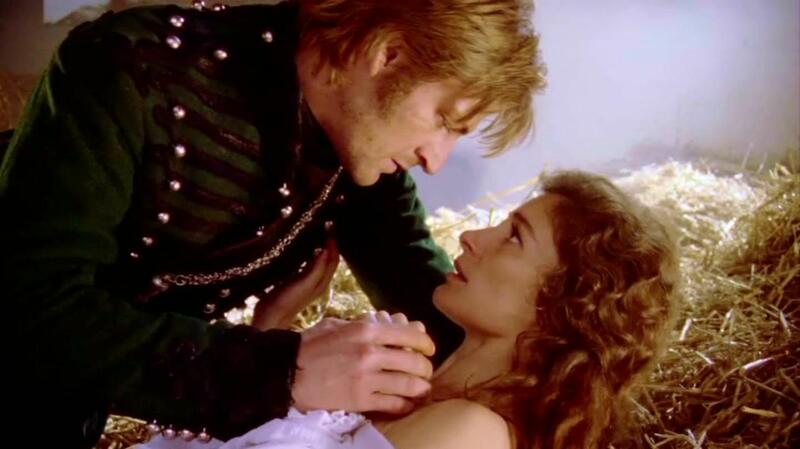 Pamela Poll: What is your favorite romance where the heroine is the pursuer? Can an alpha hero and alpha heroine co-exist in the same romance? Leave a comment and tell me what you think!